Glazed Strawberry Lemon Yogurt Loaf - Who Needs A Cape? 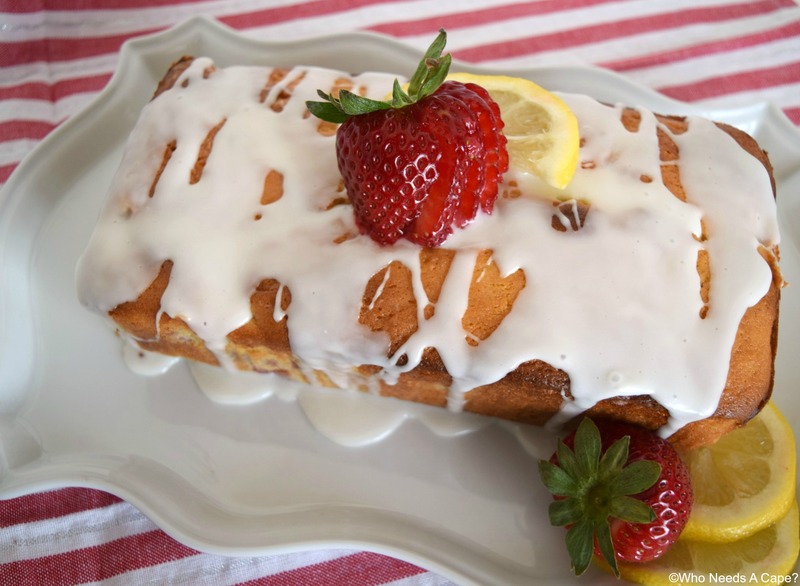 Glazed Strawberry Lemon Yogurt Loaf is the perfect combination of flavors! 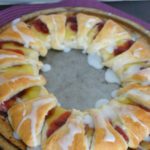 Perfect for weekend brunch, dessert or snack time. 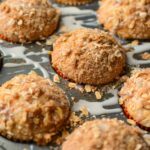 We couldn’t be happier to be participating in another 30 Day Recipe Challenge along with some of our fabulous blogging buddies. If you’ll remember we participated in past 30 Day Recipe Challenges with such yummy creations as: Creamy Lemon Layered Pie and Homestyle Chicken Noodle Soup! 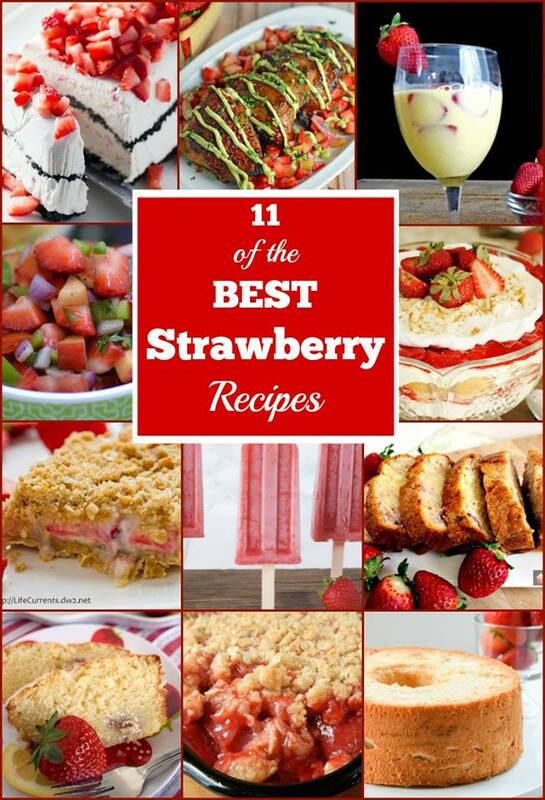 This go around we’re all preparing recipes with STRAWBERRIES! Yes, essentially the fruit of summertime! Ripe, juicy and oh so good! Truth be told, I’m not a huge strawberry eater. I like strawberries but they need to be in something: a sauce, a salad, a dessert, a muffin…you get the idea. 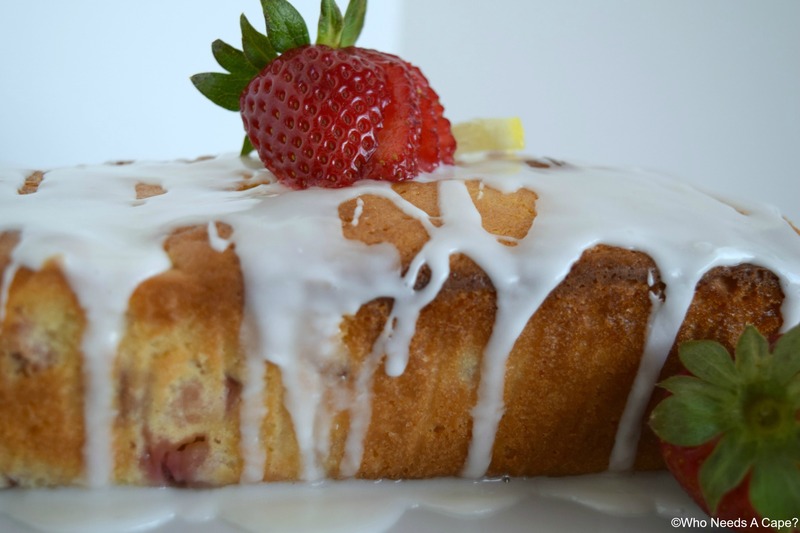 That’s where this yummy Glazed Strawberry Lemon Yogurt Loaf comes into play. There’s all sorts of delicious flavors in this loaf and an undeniably tender texture from using yogurt. 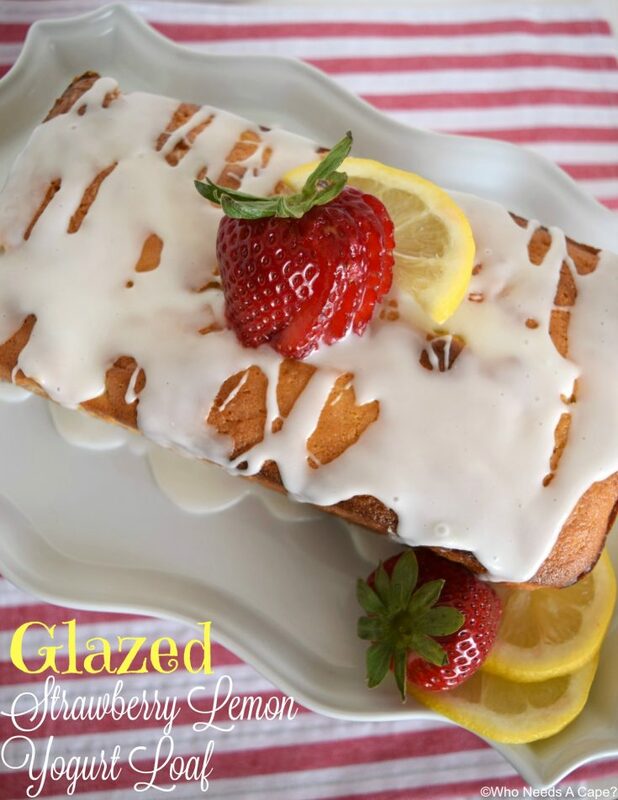 The lemon within the loaf and in the glaze presents a nice pop of flavor that compliments the underlying strawberry flavor just perfectly. You’ll love this trust me! 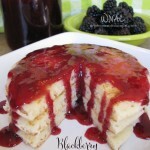 Ideal as a dessert, but at my house this is more of a weekend breakfast. My little girls really enjoyed this too, the lemon is a bit tart and but nicely offset by the vanilla yogurt and bits of strawberry goodness. 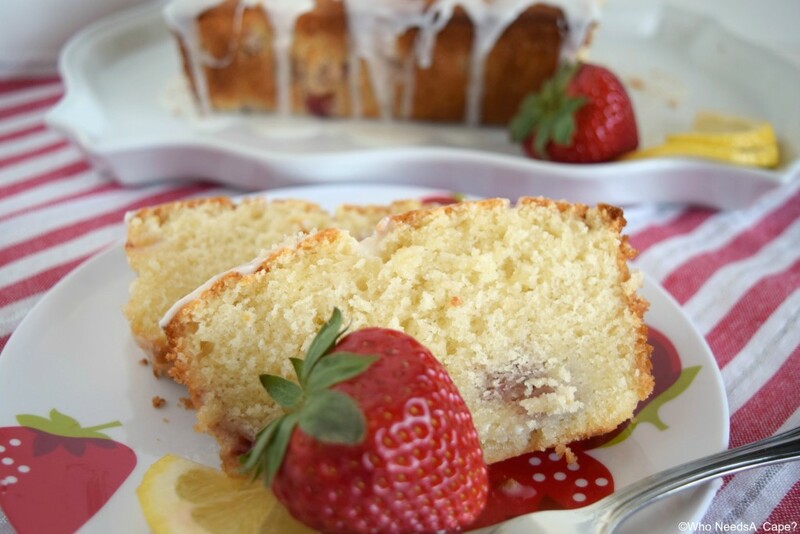 Next time you have some fresh strawberries be sure to make this yummy loaf, it is delish! Preheat oven to 350° degrees. Spray loaf pan with non-stick cooking spray. With electric mixer beat together butter and sugar. Add eggs in one at a time, beat thoroughly. Mix in vanilla extract. Combine vanilla yogurt and lemon juice, set aside. Combine 1.5 cups flour, baking powder, baking soda and salt. Add flour mixture and yogurt mixtures to batter, alternating between the two. In resealable plastic back combine diced strawberries & flour. Seal bag and shake to coat strawberries with flour. Pour 1/2 of the batter into prepared loaf pan. Pour strawberries over batter. Cover strawberries with remaining batter. Bake approximately 45 minutes or until toothpick inserted into center comes out clean. Remove from oven and cool completely prior to glazing. FOR GLAZE: Whisk together confectioners sugar and lemon juice until smooth. Drizzle over top of cooled loaf. Wow! 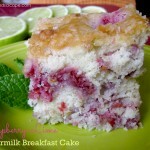 This cake looks so good and I love the use of the yoghurt in there. I bet it will be really soft and moist too! You can’t beat lemon and strawberry. This is a lovely summer cake and I want to eat it all. What a gorgeous loaf, love strawberry and lemon together. 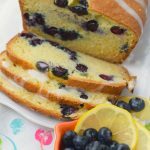 Plus, I love using yogurt or sour cream to make a moist loaf, it works so well! I love anything with glaze on top! This loaf looks so wonderful! Can’t wait to give it a try! Such a gorgeous loaf! I can’t wait to make it! Yummy! This cake looks positively delightful! 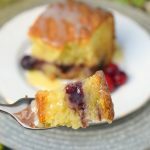 I bet the addition of yogurt makes this cake so moist and tasty! This is a cake I could go for! Oh, that glaze just puts this strawberry loaf over the top! I’d love a big ol’ slice with my morning coffee. So I made this for work yesterday. Among 5 of us, we ate the entire loaf that day. For my taste it’s a little sweet. I might swap out 1/2 a cup of sugar w/monkfruit or some other sugar substitute, or perhaps reduce the sugar to 1/2 or 3/4 cup.